Some love him. Some hate him. 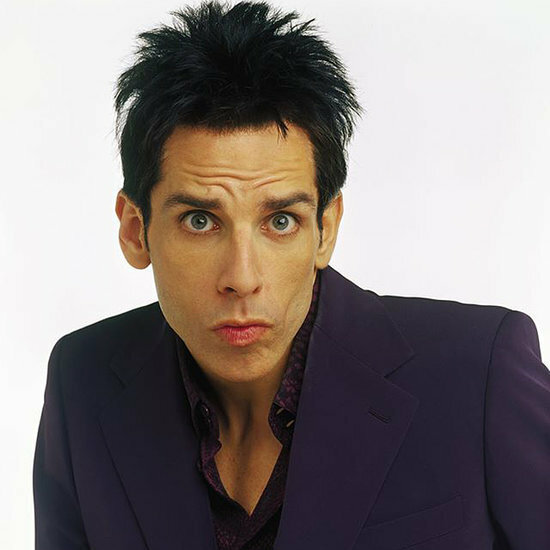 It doesn’t change the fact that he was still “ridiculously good looking”. There are times when I read Dr Leaf’s social media posts, and I feel the same as Mugatu. Dr Caroline Leaf is a communication pathologist and a self-titled cognitive neuroscientist. If Dr Leaf was a legitimate scientist, she would know that our genes do not change when we process new information. Our genes are stable. They do not change unless there’s a mutation, which occurs in one out of every 30 million or so genes. We do not make new genes at will. Last year, scientists at MIT were reported to have shown that DNA breaks when new things are learnt, but in a normal nerve cell, these breaks are quickly repaired. That’s certainly interesting, but that’s not changing the DNA or making new genes. Making claims that we make new genes to hold new information is like saying that pigs fly. 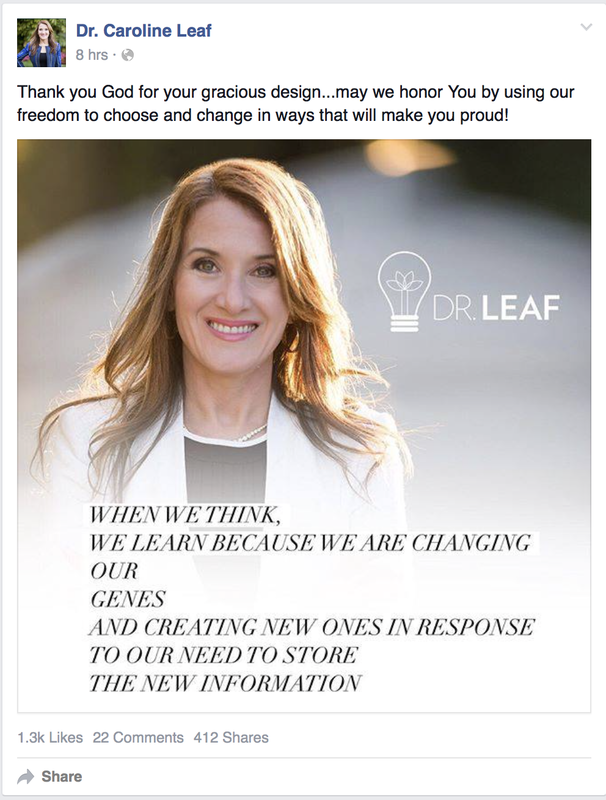 Dr Leaf’s supporters would likely make a counter-argument that she probably didn’t mean that genes really change, or we make new genes, she’s just not worded her meme properly. Well, there are two responses to that, neither of which are any better for Dr Leaf. Because scientists who really are experts don’t make errors so large that you can spelunk through them. And, this isn’t the first time that Dr Leaf has made claims about how our genes fluctuate. She made a similar claim back in September 2014. Saying the same thing several times isn’t a mistake, it shows she really believes that we change our DNA code by the power of our thoughts. Whether someone thinks DNA is changeable isn’t likely to cause any great harm to that person, but what is concerning is that Dr Leaf has been given her own show on the Christian cable TV network TBN to discuss mental health. She’s already proven that her knowledge of psychiatric medications is dangerously flawed. If Dr Leaf doesn’t know the basics of DNA, then giving her a platform to preach something that can effect whether a person might live or die is particularly perilous. Reid was paying particular attention to Ken Ham in this blog, but the principle remains the same. Scientifically illiterate Christians quickly lose credibility with people. We can’t meaningfully engage with a person who has a rudimentary understanding of biology by proudly tell them that we create new genes with the power of thought. That makes us sound like a male model. For the sake of other Christians health and well-being, and for the sake of our credibility and our witness, we need to critically assess Dr Leaf’s work, not promote it as another gospel. This entry was posted in Biological, Caroline Leaf, Spiritual and tagged caroline leaf, charles reid, Christian, criticism, DNA, false teacher, genes, huffington post, male model, mental health, science, zoolander by cedwardpitt. Bookmark the permalink. Absolutely true! We have noticed the more ‘famous’ Dr Leaf becomes, the more ridiculous & grandiose her work becomes!? She appears to have little understanding of the areas of medicine she comments on, and profits from? Our son-in-law is a Psychiatrist & our daughter is a nurse. Although we all laugh at Dr Leaf’s writings, many Christians believe her, follow her advice. Hi Nanette. I agree … it would be funny if it weren’t for the fact that so many Christians take Dr Leaf so seriously. It is quite evident from this quote that Dr leaf is at best, merely reading the abstracts of journal articles selected for her on the basis of confirmation bias. Are there associations or membership ethics akin to the APS or AMA? Is there a membership that holds individuals to account in authenticating their credentials? It appears anyone can call themselves a Cog Neuroscientist without ever attaining a degree in these disciplines or holding your ‘research’ accountable to peers! Yes, there are professional bodies for cognitive neuroscientists, but alas, most titles these days are unprotected. So anyone can call themselves anything and get away with it. There’s no moral or ethical or legal imperative to belong to the association whose title you’ve claimed for marketing purposes, and there’s no way that a professional organisation can forcibly stop people from using their professional title. So Dr Leaf can call herself a cognitive neuroscientist, even though she has no connection with any professional body of neuroscientists, has no links with any university, and has not published a paper in a cognitive neuroscience journal, or a paper in any recognised journal since 1998. That leaves Dr Leaf accountable only to God, her audience, and the pastors that invite her to their church. If anyone should be demanding scrutiny of Dr Leaf, it must be the pastors, who have a responsibility to their congregations. Unfortunately, no pastor that I’ve spoken to has been willing to acknowledge the issue. So there is going to have to be a grass-roots groundswell or a move of God in order for the powers that be to pay attention. Thanks for raising this very important issue. All the best.